Colorado & Wyoming’s preferred hot tub & spa dealer. Offering the nations most reputable and trusted hot tubs. Patio Splash Hot Tub and Spas is proud to offer Bullfrog Spas, the best hot tubs on the market based on their industry leading technology. As Northern Colorado's only authorized Bullfrog hot tub dealer, we are able to offer our customers in Cheyenne, Greeley, and Fort Collins custom, high-end hot tubs they won't find anywhere else—and at the most affordable prices. 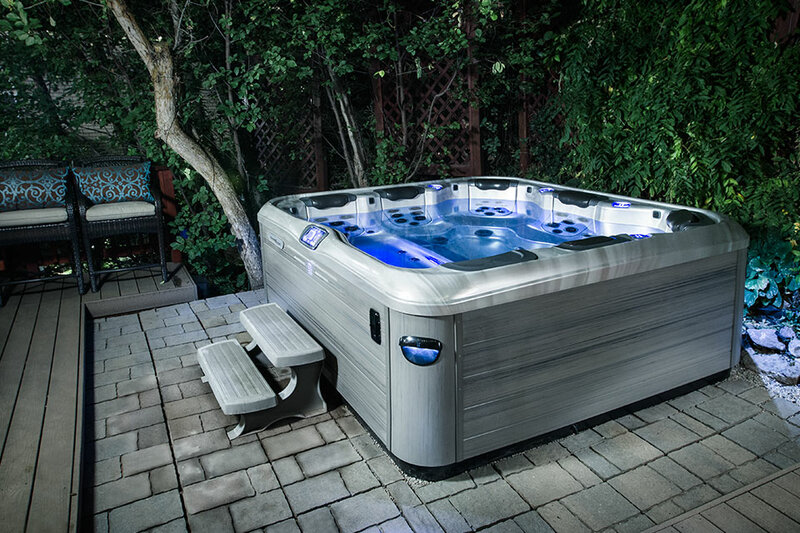 Come into one of our three hot tub store locations and explore the different contours and shapes of our premium hot tubs and spas. See for yourself what makes Bullfrog hot tubs so special. With a variety of sizes, makes, and models, we're sure to have the perfect spa that fits your specific needs and budget. 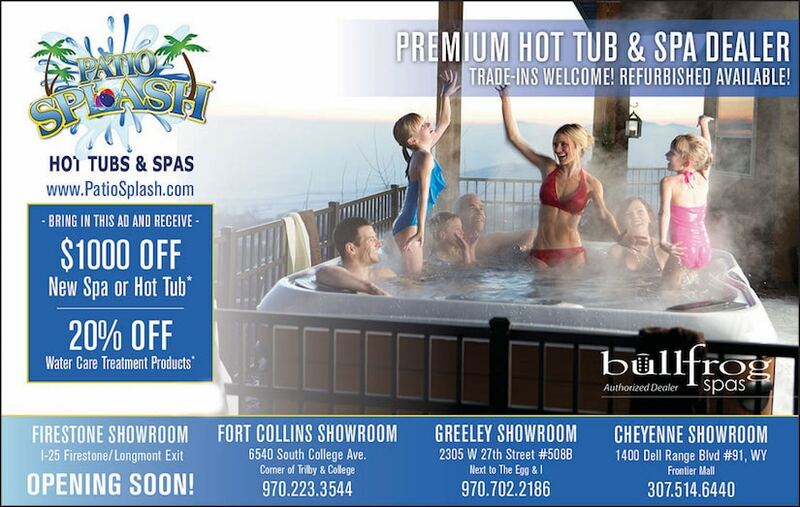 Explore our selection of hot tubs at three convient locations, Fort Collins, Greeley & Cheyenne. Have an existing hot tub that needs service or repair? Contact our sister company Hot Tub Patrol for comprehensive cleaning and hot tub repair services. 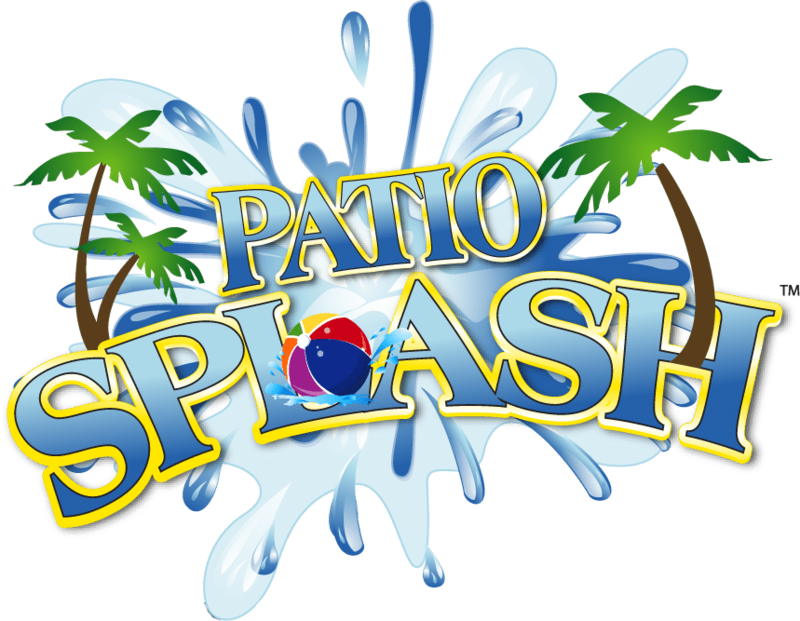 Patio Splash is the only authorized Bullfrog Spa dealer in Northern Colorado. We have very competitive pricing and promote the best brand in America. Learn about our comprehensive warranty on our bullfrog and patio splash hot tubs. Discover the perfect tub for your home with the help of our friendly and knowledgable staff. You wont have to wait with our speedy delivery across Colorado & Wyoming. We offer routine cleaning service for your existing spa, whether you bought it from us or not. Every spa is designed to accommodate different lifestyles, desires, needs and households. Our trained experts are more than happy to help you discover the right spa for you and your family. 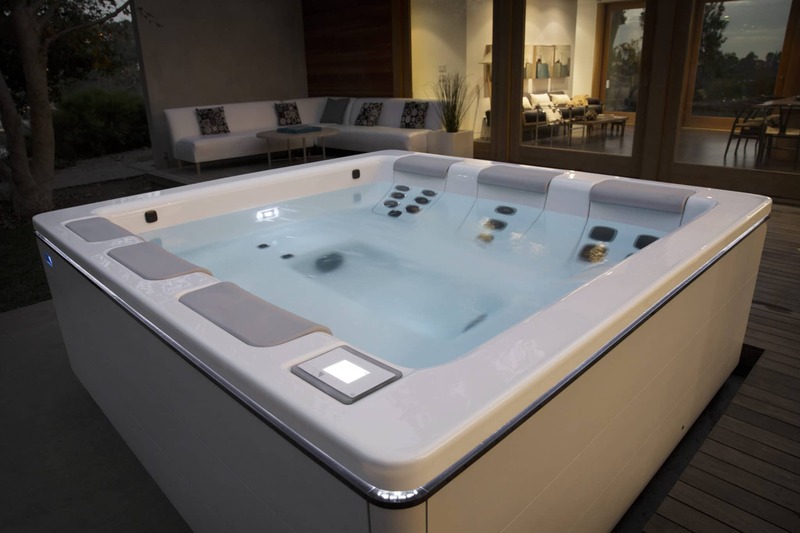 Whether you're seeking a hot tub for relaxation, recovery, or rehabilitation, we will show you all of your options. At Patio Splash, we genuinely believe in our products and can't wait to educate you on everything you could possibly want to know about them. Feel like stopping by? With one of the largest selections of spas and hot tubs in Fort Collins, Greeley, and Wyoming, and a knowledgeable staff to guide you, we know you'll absolutely love your hot tub experience with Patio Splash. Discover the difference for yourself and come visit us at one of our three hot tub showrooms or contact us for more information. The benefit of interchangable jets can not be stated enough with the Bullfrog's panted JetPak system. Customize your hot tub's jet configuration to your liking, and then change it again as your needs change. As northern Colorado’s authorized Bullfrog Spa dealer, Patio Splash is your spot for Bullfrog Spas north of Denver. Come in and visit one of our three locations to both see and experience what sets a Bullfrog spa apart from other hot tub brands. Not only will you be impressed with how Bullfrog Spas look, but also the quality that is built into every spa model they offer. 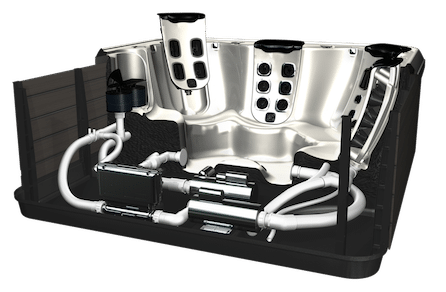 Design your hot tub to be one of a kind with Bullfrog’s patented JetPak system. Simply insert the style of jet your prefer into one of your tubs slots, and create the perfect hot tub for you and your family. If you ever want something new, simply rearrange your jets, or get new jets to interchange in your current tub. 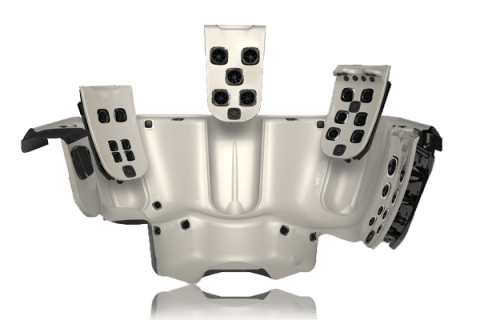 Each JetPak is designed to target specific parts of the body, so you can customize your tub to target specific trigger points on your neck, shoulders, back, and more. The options are limitless, and one of the reason many consider Bullfrog Spas the best hot tubs on the market. Bullfrog Spas offer far more than just customization. 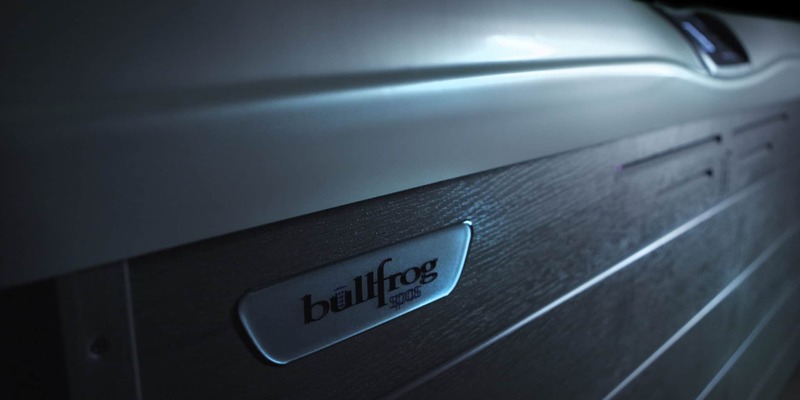 Paying close attention to detail, Bullfrog has created energy efficient tubs that use 90% less plumbing and offer more insulation, which means jets don’t lose power by traveling through endless plumbing, and are easier to repair. 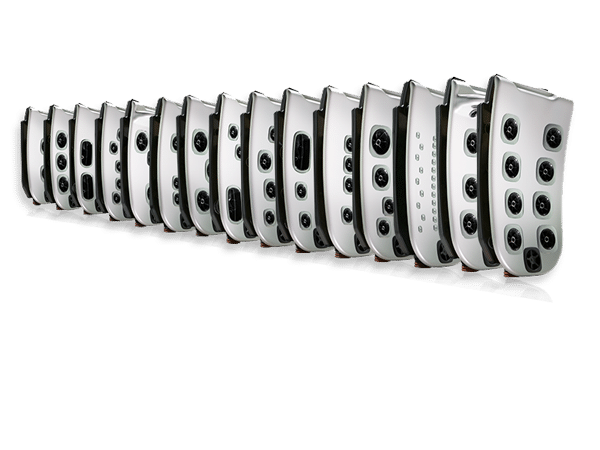 Once you understand and experience the superior performance, you will never want anything other than a Bullfrog. STIL - "Modern Spa Design"
Bullfrog's Stil Series, brings to life a new concept in holistic wellness and modern design. These elegantly designed hot tubs look as good as they feel. As the winner of the 2015 iF Design Award for excellence in product design, the Stil Series hot tubs offer ultimate functionality, allowing seating to be customized in an upright or reclined position and massage jets set specifically for your personal therapy needs. The Stil series is an asset to any body, and any environment. A Series - "Premium Hot Tubs"
R Series - "Quality Hot Tubs"
The R Series offers the quality and customization of a Bullfrog Spa, at prices people love. A variety of seating arrangements and features allow you to create the hot tub of your dreams. Whether you seek an incredible hydromassage experience, or plenty of room to stretch out, the R series has many options to choose from.